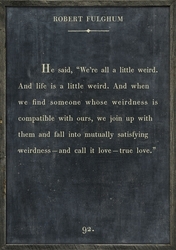 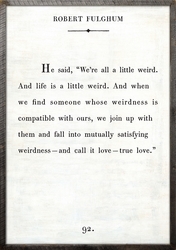 He said, "We're all a little weird. And life is a little weird. 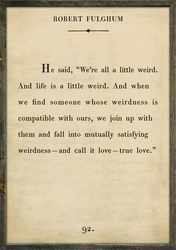 And when we find someone whose weirdness is compatible with ours, we join up with them and fall into mutually satisfying weirdness - and call it love - true love."